Throughout the area there are numerous restaurants, pizzerias and bars along the sea where you can stop and enjoy the beautiful landscape of the city .. A short distance from the apartment Virgilian the park where you can visit the tomb of Virgil and that of Leopardi and the famous church of Piedigotta. It is a central apartment located in a very elegant neighborhood. its fundamental characteristic and located just 100 meters from the sea and the promenade of via Caracciolo. The area is highly touristy, both for the marina where they sail motorboats and large boats,as well as numerous restaurants, bars and pizzerias overlooking the sea The whole area is well connected by two metro stops and several buses. The kitchen is fully fitted and equipped with electric oven, fridge freezer, washing machine. Chiara is very nice. Very near from metro. Good fruit shop and grocery. Rooms are very clean. Was a nice base to explore around Napoli. Enjoyed the place. Perfect. Clean. Close to all transport links. We had an issue with the shower heaf that was quickly resolved by the owner. Property is very close to all transport links including the airport and railway. Ideal base for getting about. We loved this apartment. This is a fantastic location for either individuals or families. It is in a classy area with very nice restaurants, quick access to the waterfront promenade, shopping, or the funiculare which can take you to nice views from the hills. It is also perfect for families. It is very safe, there are inexpensive pizzerias just accross the street and nearby parks, and the waterfront is a very pleasant place ot stroll with lots of activity and familes on the weekends. The apartment itself is clean and well-equipped, and Mario was a extremely easier to work with. He took care of everything very professionally and was very pleasant. He took care of everything we needed. He will also arrange for a pick-up from the airport or station at a fair price. I would definitely stay here again. Our engagement is to satisfy the needs of our guests in order to make them feel at home. My girlfriend and I stayed in this superb apartment in September 2011. It is situated in a grand,historic building in one of the best parts of Naples, It is only 200 yards to the yachting marina where you can catch a boat to the islands,buy fresh fish straight out of the sea or enjoy delicious cakes and ice-creams at Ciro's. The beautiful Mergellina train station is only 200 yards in the opposite direction and Santa Lucia, with it's restaurants on Via Partenope and under Castel Del'Ovo is only a short bus ride away. 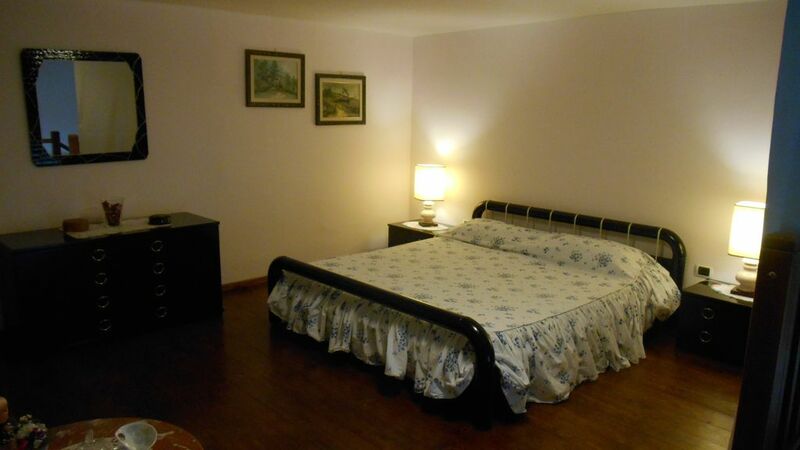 The apartment is very clean and elegantly furnished and decorated. The high ceilings (approx 7m),large windows,and large marble tiles give the apartment a palatial feel. The air-con is new and the gas cooker is in excellent working order. The apartment is very quiet and very secure. We found the owners very easy to deal with. Everthing was correct and proper,very professional. We normally stay in the hotels on Via Partenope but from now on we will try and book this apartment. For a combination of price,quality and location you will not beat this apartment. We highly recommend it. I am very happy with this Review. I engage more and more to do better. L'appartement est bien placé et donne sur une ruelle non passante donc au calme de l'agitation de la rue. Les volumes sont agréables et la climatisation apprécié. Les modes de transports bus et métro sont à proximité mais il vousfaudra tout de même compter avec les delais entre 20 et 40 min pour rejoindre le centre ville. Des commerces , services et restaurants sont proposés aux alentours. Très bon accueil de Simone qui de plus parle Français et rapidement joignable. La douche souffre de la pression de l'eau et nous avons eu une fuite par rupture de canalisations dépannée dés le lendemain. Pour autant une repartions plus serieuse est à prévoir. Un peu plus de couverts est nécessaire si vous comptez prendre vos repas sur place à 4 personnes . Le parking est un espace fermé privé/public, vous laissez vos clés au "voiturier" qui déplace les véhicules en fonction des besoins de chacun au tarif de 13€/jour mais n'étant pas Napolitain c'est un investissement obligatoire. Si nous y reviendrons avec plaisir si nous devons revenir à Naples. Je suis heureux de connaître l'opinion de nos clients, pour rendre la maison plus confortable. Nous avons passé un très bon séjour dans l'appartement qui est propre, rénové et bien équipé dans un bel immeuble situé dans un quartier agréable. Un grand merci à Simone pour son accueil très attentif et très sympathique. The apartment is located on the first floor of a historic building, equipped with a lift and porter, in the district of Mergellina, one of the most beautiful and elegant areas of the city, in a street parallel to the promenade of Via Caracciolo, two hundred meters from two subway stations and one hundred meters from the marina from where the hydrofoils for the islands of the gulf. Nearby is the taxi station and several bus services for the local bus stops that allow easy access to all other areas of the city. Throughout the area there are numerous clubs, bars and pizzerias and the "chalet" crowded, night life within walking distance from the sea. Prezzi sono comprensivi dei consumi di acqua ,energia elettrica ,gas , uso dell' aria condizionata , fornitura settimanale della biancheria letto ,cucina , asciugamani bagno saponi essenziali , carta igienica ecc Acconto/caparra Euro 100/200. Importo cauzione Euro 100/200. Importo pulizia finale Euro 30.